Panda Security announced a new beta of its popular cloud-based consumer antivirus service Panda Cloud Antivirus, version 1.9.2. The beta, which will be the last version before the final release of Panda Cloud Antivirus 2.0, is fully compatible with Windows 8 and incorporates a new smart community-based firewall. Panda Cloud Antivirus 1.9.2 fixes several bugs found in version 1.9.1 released in August 2011. It also incorporates a new, improved firewall with an intrusion detection system (IDS) and better rule configuration settings. Finally, the new version offers better malware detection and disinfection capabilities, lower impact on system performance and includes Google Toolbar. “This beta version is the final step before the long-awaited 2.0 version of our free, cloud-based solution,” explained Jeremy Matthews, Country Manager of Panda Security Sub-Saharan Africa. “It includes all the improvements suggested by our user community in order to minimize intrusiveness and provide maximum protection with the least impact on PC performance. Panda Cloud Antivirus has always stood out as being one of the lightest solutions on the market, and we continue to provide it with a lighter footprint in each new version”. “Making Panda Cloud Antivirus and our 2012 consumer solutions compatible with Windows 8 Release Preview was important to ensure that users of Microsoft’s new operating system benefit from the best protection against malware,” Bustamante said. While South Africans are obsessed with physical safety, the hacking of LinkedIn has shown how oblivious we are to cyber crime, writes Thalia Randall. Wednesday saw a major victory for the online hacking community: six million encrypted passwords were successfully “stolen” from LinkedIn and published on a Russian website, along with an open invitation for hackers to decrypt the data. The experience left many of South Africa’s 1.6 million LinkedIn users scurrying for virtual “cover”, as they changed their passwords to pre-empt a personal security breach. According to Panda Security country manager Jeremy Matthews, it also highlighted something about South African internet users: a naive “carelessness” about our security measures online. “As South Africans, we’re very conscious of physical security and traditional crime. But [what we don’t realise] is that there is as much danger in the the online world as there is in the physical one,” he said. National oblivion, he stated, happens because South Africans are not “conscious” of our “shift from the physical to the digital”. This leads to a naivete that makes us more vulnerable to virtual attack, he said. And public vulnerability is a hacker’s biggest opportunity. Illustrative of this is the second wave of online-intruder-opportunism that saw hundreds complaining on Twitter on Thursday. Fake emails bearing the LinkedIn logo invited users to enter their new password after clicking on a link. Unaware that LinkedIn’s Vicente Silveira has indicated that “there will not be any links” in the authentic directive email from the company, many users unwittingly provided their new passwords to further would-be invaders. But according to Matthews, the problems stemming from this “would not have been so bad if people had better passwords”. “People need to learn the necessity of password management. Digital security is part technology, part management,” he said. Robert Fall, a web application developer in Cape Town, explained the knock-on effect of poor password management. “If someone has used the same password on another account, the intruder would now be able to gain access to both,” he said. “People may say ‘if someone gets access to this silly little blog, I don’t really care’. But what they don’t realise is that if someone accesses that blog, then they know your email address, and then they could re-set the password to your internet banking,” added one of Fall’s colleagues. According to Fall, one way to avoid becoming an easy target is to use a “strong” password. Strong passwords contain a combination of letters and digits, and are not related to anything personal about the user. “If you posted the name of your dog on facebook, and also put it as a password question on gmail, you are at risk,” he said, explaining how easy it is to unwittingly link a password with personal details that are publicly available. Another way, he said, is to have separate passwords for each account – thus limiting the damage to only one account if a hacker ever did invade. For Matthews, the public must realise that “just because you have an anti-virus or a firewall installed, it doesn’t mean you are safe. What we need is human firewalls!” he said. Part of Matthews’ suggested “human fire-walling” is making sure that users do not share passwords or discuss sensitive information within earshot of others. “As a South African, I might have electric fencing and security beams – and that’s all well and good – but I still need to be careful who I answer the door to,” he said. Below is the link to the article “The era of cyber warfare” which was featured in the iWeek magazine on the 18 April 2012. Panda Security ZA Country Manager, Jeremy Matthews gave his thoughts on cyber warfare and what companies should do to avoid security holes. According to Global IT vendor Panda Security, 50% of all computers scanned around the globe in January were infected with some kind of malware. This data was gathered from Panda’s free online antivirus Panda ActiveScan. As for the most damaging malware threat, Trojans caused the most incidents (59% of all cases), followed by traditional viruses (12%) and worms (9%). The list of most prevalent malware threats is topped by generic Trojans, followed by down-loaders, exploits and adware. It is also worth mentioning the presence of Lineage, an old Trojan that continues to spread and infect systems. Thailand, China, Taiwan, Russia and Turkey occupy the top positions in the ranking of countries with the largest number of infections (over 50% of scanned computers infected with malware), while other traditional ‘malware paradises’ like Brazil or Poland have slipped down the list this month. “We don’t see many significant changes regarding the number of worldwide infections from month to month”, says Luis Corrons, Technical Director of PandaLabs. “This just reflects the reality of the current situation: Every day we receive some 61,000 new malware samples at our laboratory, and unless you have a solution like Panda Cloud Antivirus whose latest protection technologies provide near real-time protection, it takes too long for traditional solutions to incorporate new malware signatures. This lapse in time leaves users unprotected against new threats”. “While South Africa doesn’t occupy the top positions with regards to infections, we are seeing a steady increase in the amount of malware aimed at African users”, says Jeremy Matthews, head of Panda’s sub-Saharan operations. “This malware usually takes the form of money related scams, targeted at new or inexperienced internet users”, he concludes. According to Panda Security, cyber-criminals are exploiting Twitter to spread malware in festive-themed messages. Using methods akin to Black Hat SEO techniques, hackers are taking advantage of trending topics to position malware distribution campaigns. 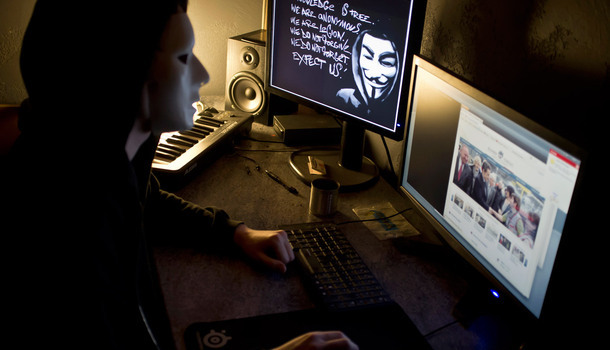 Topics such as “Advent calendar”, “Hanukkah” or even “Grinch”, are among the most popular subjects used by hackers to entice users. Thousands of tweets have been launched using festive-themed phrases, such as “Nobody cares about Hanukkah” or “Shocking video of the Grinch”, along with short URLs pointing to malicious websites. Users that click the link will be taken to a page that infects systems with false codecs by exploiting a security hole in PDF files and tries to trick users into downloading a codec that is really a downloader Trojan, which in turn downloads more malware onto the compromised computer. In addition to subjects related to Christmas, cyber-criminals are using other hot topics to spread their creations, including the Sundance festival, the AIDS campaign and the Carling Cup. 1) Don’t click suspicious links from non-trusted sources. This should apply to messages received through Twitter, through other social networks and even via email. 2) If you click on the links, check the target page. If you don’t recognize it, close your browser. 3) Even if you don’t see anything strange in the target page, but you are asked to download something, don’t accept. 5) As a general rule, make sure your computer is well protected to ensure that you are not exposed to the risk of infection from any malicious code. 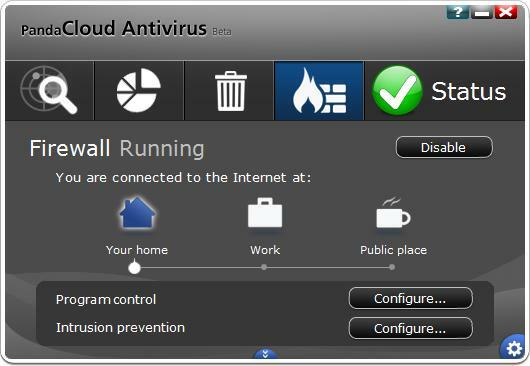 You can protect yourself with the new, free Panda Cloud Antivirus solution (www.cloudantivirus.com). “It is important to remember that hackers will take advantage of any big holiday or event, which is why it is important to remain extra vigilant during these times”, concludes Matthews.